NetApp announced the release of the latest version of their ONTAP operating system, ONTAP 9.3. The data fabric from NetApp is now coming to fruition, bringing SnapMirror from ONTAP to the SolidFire platform. 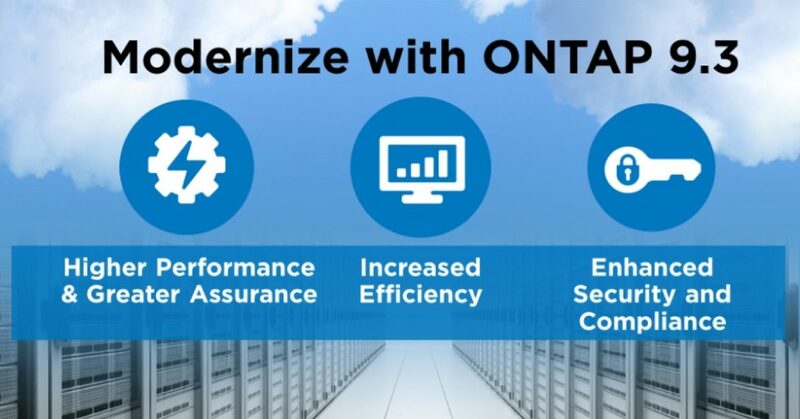 With ONTAP 9.3 you will be able to replicate from a SolidFire system to a NetApp destination. The source can be any SolidFire system, including the new NetApp HCI platform. Management can be from the SolidFire GUI, ONTAP CLI or via ZAPI making it is as easy as ever to manage and automate the SnapMirror relationships. SolidFire can only act as the source system and not as a SnapMirror destination, except for when reverting after a DR invocation event.